Air India Express will connect Sharjah with Chandigarh and Tiruchirapalli (in Tamil Nadu) from September. 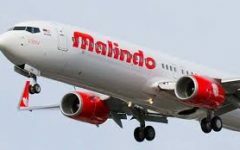 The airline will introduce three non-stop flights per week each from Chandigarh (IXC) and Tiruchirapalli (TRZ), to add Sharjah International Airport, bringing the total number of its routes between Sharjah and Indian destinations up to seven. India is one of the United Arab Emirates’ leading trade partners, accounting for some 9.8 percent of the country’s total non-oil trade, buying 14.9 percent of the Emirates’ exports and 8.7 percent of its re-exports. The total volume of bilateral trade between India and the UAE is expected to increase from $60 billion in 2014 to $100 billion by the year 2020. India is also the largest single origin of investors for Sharjah’s Hamriyah Free Zone and Sharjah International Airport Free Zone (SAIF Zone). 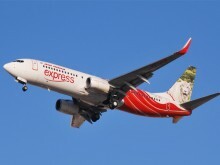 Air India Express has been expanding its services to destinations in the UAE, including daily Mumbai-Dubai, Mumbai-Sharjah, New Delhi-Dubai and New Delhi-Abu Dhabi routes, which it added earlier this year. 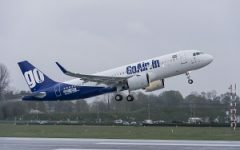 According to the airline, the number of its weekly flights between India and the UAE increased from 107 flights to 146 flights per week before the summer. The low-cost airline currently operates five routes with a total of 15 weekly flights to Sharjah International Airport. Air India Express now flies direct to Sharjah from Kochi (COK), Kozhikode (CCJ), Mumbai (SAHAR), New Delhi (DEL), Thiruvananthapuram (TRV) and Varanasi (VNS. India is well connected to Sharjah, with Sharjah-headquartered Air Arabia operating flights between Sharjah and 13 Indian destinations. 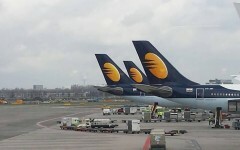 Jet Airways, India’s second largest airline, operates direct daily flights on Sharjah-Kochi and Sharjah-Mangaluru (IXE) routes.